Craig has a wealth of experience working across both private and public sectors, with a career spanning more than 25 years. His role as Leader of Rugby Borough Council was extended in 2010 when he became the first Executive Leader in the country. Praised for his strong and progressive leadership by the Prime Minister and Secretary of State, Craig is now at the forefront of the growth agenda within Coventry and Warwickshire. Out of hours, Craig raises funds for The Motor Neurone Disease Association and likes nothing more than spending hours trying to get a golf ball around Staverton Park in as few shots as possible. Jeremy’s commercial sector experience spans more than 30 years. 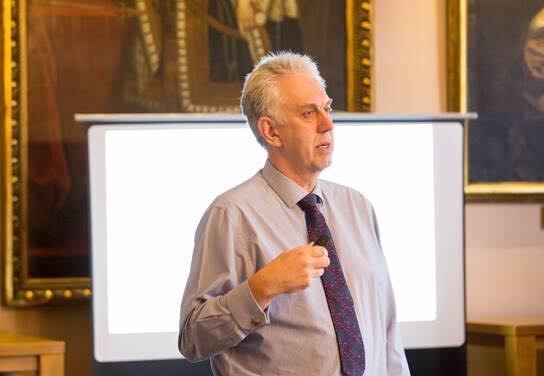 Working extensively for the business finance industry, as well as sports and media, Jeremy has had great success in business sales management and development. His experience owning and running a business himself means he readily understands the daily challenges business owners face. And as a qualified business mentor, he’s confident he can make a tangible difference to businesses with ambitions to grow. Outside of the GrowthHub, it’s all about sport. Jeremy is still hobbling around the 5-a-side pitch, but mostly as a spectator. He will watch anything that involves a ball or racquet. 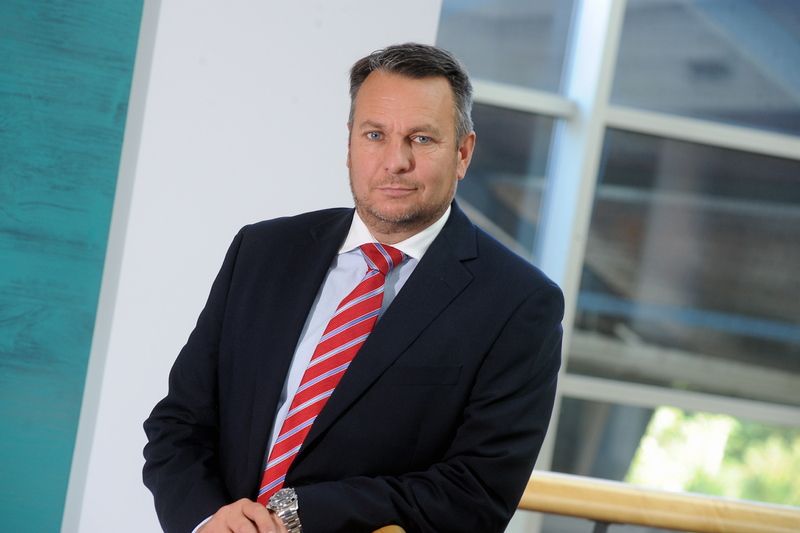 Phil spent more than 20 years in senior IT and sales and marketing roles working for manufacturing giants such as Rolls Royce, Rover Group, Jaguar, British Shipbuilders, GEC and GKN. In 2000, he moved into business ownership, taking three of his own businesses through the complete business lifecycle, from start-up, through growth and acquisition, to exit. Now an accredited business adviser and mentor, Phil has a great deal of real-world business experience to offer SMEs in the Stratford area. Phil’s spare time is spent with his family, tinkering around with Classic Cars and following sports. Jaymie has 19 years’ private sector experience across media and digital industries. Specialising in brand, sales and marketing, she has worked for an impressive array of global publishing houses (including Haymarket, Conde Nast and Hearst) where she dealt with high profile brands such as British Airways, Porsche, Montblanc and The Net-A-Porter Group. As a qualified IIC&M Business Mentor, Jaymie now uses her extensive business development expertise to help local enterprises reach their full potential. Jaymie’s just as busy outside the office; she’s a serial traveller, a lover of live music, a business board member of a baby’s hospice, and a mother to two crazy comedians. Bill is Chartered Town Planner who has more than 25 years’ experience in the private development sector. He has special expertise in project management, strategic land acquisition, affordable housing and the delivery of mixed-use developments. Drawing from experience as top-tier management at leading national development companies, he also ran his own planning and housing consultancy business with a client base that included private and public sector bodies and major property investors. Outside the office, Bill is a keen rugby fan. Once a player, he went on to become both a qualified coach and referee. As a sports enthusiast, he still enjoys watching Nottingham Forest when back in his home town. Gary joins the Growth Hub from a key player within the Health & Wellness sector where he was responsible for the implementation of key elements of company strategy along with the operational management of call centre and customer service functions. With roots in the automotive sector Gary has a mechanical background and has since accrued diverse and extensive experience across customer service and team environments within Financial, Health and Training industries. Out of work Gary enjoys spending time with family and friends as well as following motorsports, especially Formula One. Jon is an experienced manager and administrator with a background in financial services spanning 30 years. Previously employed by NatWest and Royal Bank of Scotland Group, he went on to become a business coach, membership recruitment executive and work and health project advisor at Coventry & Warwickshire Chamber of Commerce. 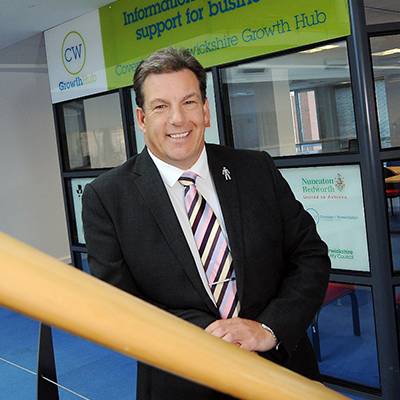 He has since brought his wealth of expertise to GrowthHub where he advises businesses on which public and private sector programmes are best suited to help them grow. Outside the office, he stays busy with his roles as Honorary Secretary of the Old Laurentian Society and Honorary Secretary of the Warwickshire County Hockey Association. As a keen socialiser, he can sometimes be found in the Dun Cow in Dunchurch with a pint of Bass. Providing Learning & Development solutions, she has worked for professional bodies, commercial companies, recruitment agencies, awarding organisations, Certification bodies, and Learning & Technology Providers. These include The Learning & Performance Institute, ILM ( Institute of Leadership & Management, part of City & Guilds) and OCR. Justine has supported SME’s and blue chip organisations to achieve accreditation, professional status, certification, and win prestigious awards. Out of work Justine enjoys spending time with family, keeping fit, and travelling to new destinations. Sarah has previously worked in events, project management and regional development in the cities of Birmingham, Berlin and her hometown Stuttgart. 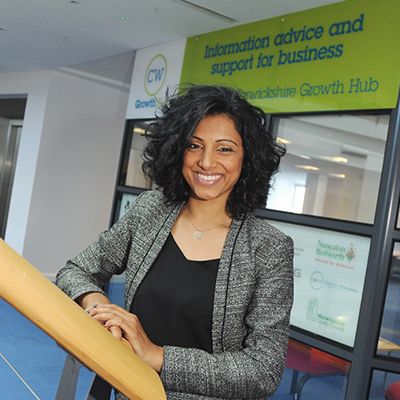 She now helps the GrowthHub team stay organised and manages events to keep us in touch with C&Ws businesses and our partners. Before Sarah joined the team in October 2015 as Business Administrator she completed a degree in cultural policy and management where she focussed her research on the internationalisation of cities and regions. When she's not working on projects or sorting out office admin she can be found helping out with culture events in the city, hiking through the countryside or on the lookout for the next good music gig. Gavin joined the Growth Hub in April 2018, he brings with him many years of experience working in both the private and public sector. Throughout the past 15 years Gavin has worked within Education & Skills Funding, Internal Sales/Project Management and Export Roles. During this career he has worked for various companies of all shapes and sizes and has gained valuable Business to Business experience. Outside of the office Gavin enjoys spending time with family and friends, he especially likes to spend his weekends with his young daughter and listening to what she has been up to at her nursery. When time allows he also likes to follow the British Touring Cars Championship. Sarah joined the Growth Hub Team in September of 2018 following completion of a master’s degree in legal and constitutional studies. Over the past 6 years Sarah has interned for varying companies in the United States, including those in the public, private and non-profit sectors. Her duties in previous roles include legal and marketing research, dealing with insurance claims and bank loan processing for State Farm Insurance. As well as, constituent profiling on a local mayoral campaign and guiding students at Indiana University through a community development course. Outside the office, she enjoys travelling throughout the United States and Europe, following the latest legal and political news, going to the gym and watching American football! Laura joined the Growth Hub Team in March 2017 as a Support Administrator, creating extra support for the team of Business Navigators. Laura has over 5 years’ experience in Administration. Laura’s career journey in admin began after finishing her GCSE’s and taking on an apprenticeship in Business Administration. She has since taken on a number of different roles within administration including, office admin, bookkeeping, sales admin and more. In her spare time, Laura is quite creative, running a small online shop selling handmade crafts and often spending time in the kitchen baking a variety of sweet and savoury treats. Cathy joined the Growth Hub in March 2018 as a Business Administrator and PA to the Managing Director. Her role is to provide organisational support to the Growth Hub team and act as the customer interface. Prior to joining the Growth Hub, Cathy worked in the public sector for 13 years supporting the leadership team; she has a wealth of knowledge and experience in this area. In her spare time, Cathy enjoys walking, especially caddying for her son on the golf course . She also likes to cook and spend time socialising with friends and family. Dave joined the Growth Hub in February 2016 as the Enterprise Co-ordinator for Coventry and Warwickshire, a role supported by The Careers and Enterprise Company. His role is to help schools and colleges to improve their careers and enterprise activities by linking employers and the self-employed to them, with the aim of motivating and supporting young people to make informed choices about their future and help them achieve against those choices. Prior to joining the Growth Hub, Dave spent two years working for Hereward College as their Training Services Manager, four years with Coventry City Council as a 14-19 Adviser and nine years as a Partnership Manager with Coventry and Warwickshire Learning and Skills Council. Outside the office, Dave is a long suffering season ticket holder watching his beloved Coventry City FC and can be found on non-football Saturday’s at The Butts Park Arena watching Coventry RFC. He is also a Governor at his son’s primary school in Coventry. Anne-Marie joined the Growth Hub Team in April 2014. Anne-Marie has circa 25 years’ experience of working in the Education, Training and Skills Sector covering a range of roles, curriculum areas and training and delivery models from Entry level provision to Degree Level programmes. Prior to joining the Growth Hub Anne-Marie was a member of a Senior Leadership Team in the F.E sector with responsibility for Skills and Commercial Development. This included managing the delivery of training to meet employer’s needs on both a commercial and funded basis. Anne-Marie has a developed understanding of the challenges faced by employers who need to upskill their workforce around working constraints including business operations, time and access to relevant funding support. Anne-Marie has solid experience of working in the Private Sector having worked in the Travel and Tourism Sector including being based overseas in a range of countries as an Area Manager for a number of years. When Anne-Marie is not helping businesses to close skills gaps and upskill their employees she loves to travel overseas and in the U.K, spend good times with family and friends, cook and eat and keeps fit looking after two dogs. Jacky is an experienced manager and administrator with a background in Further Education spanning 28 years. Specialisms include Procurement, Management Information Systems and Policies & Procedures. Jacky joined the Skills 4 Growth team in 2014 and took a short break in 2015 to work in the private industry at Lloyds Industries Ltd. Jacky re-joined the Skills 4 Growth team in 2017 and has brought with her a wealth of experience gained in the education and training sector. Outside of the office Jacky stays busy socialising with family & friends and looking after her little dog Poppy. CWLEP Growth Hub will be launching a new and exciting opportunities directory soon. 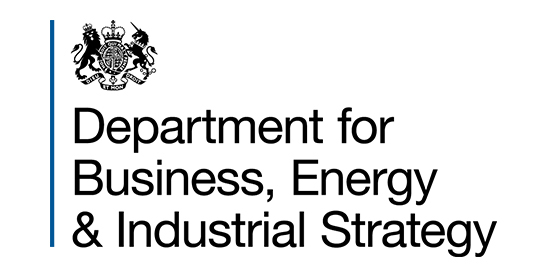 It will enable local businesses to access supply chain opportunities from across the region. To be the first to hear about the launch make sure you are in the loop and sign up to our newsletter - we will only contact you with useful and relevant information.